This weekend we took our first trip outside of Manila since we arrived, which is unbelievably more than six weeks ago. I’ve been chomping at the bit to get out of the city but with Robert’s new job and all those pesky real life details that go on, its not been possible until now. The Embassy has an office called the CLO that takes care of community activities for Embassy employees and families. 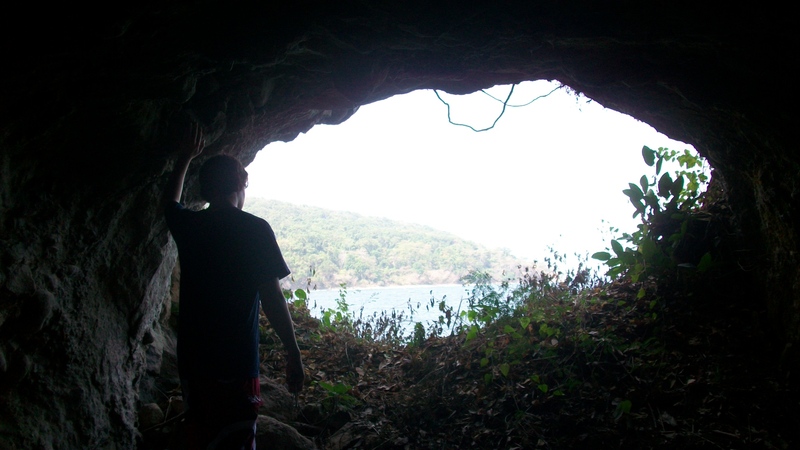 CLO organized an outing to nearby Corregidor island, and we signed up for the overnight trip. World War II buffs may be familiar with Corregidor. It was an important American/Philipino stronghold during the defence of Manila Bay against the Japanese. It is strategically located at the mouth of the Bay guarding the city from attack by sea. Unfortunately, after intensive air bombardment and loss of nearby territory to the Japanese, the island fell in 1942. General MacArthur left promising to return (which he did in 1945) leaving the remaining 13,000 Americans and Phillipinos to their fate in Japanese prisoner of war camps. Today the island is covering with ruins of massive long barracks, officer housing, tram lines, fortifications, tunnels, caves and storage tanks. It even had a movie house which still remains. All over the island are little secret bunkers or caves, dug into the hillside. Their is a massive tunnel, completed in 1932, called the Malinta Tunnel, which consisted of a main long tunnel, with lots of side arteries coming off. Bombproof because of the solid rock above, the tunnel was used for storage, supplies, sleeping and working. There’s even a separate section of tunnels used as a 1000 bed hospital. All in all, its a pretty extraordinary place. So, without further ado….some photos…. An hour and 15 minutes at sea (on a hydrofoil). Mmmm....this isn't the Med..! ← Air Shipment Has Arrived! Thanks Susan.. And I love getting comments back. !